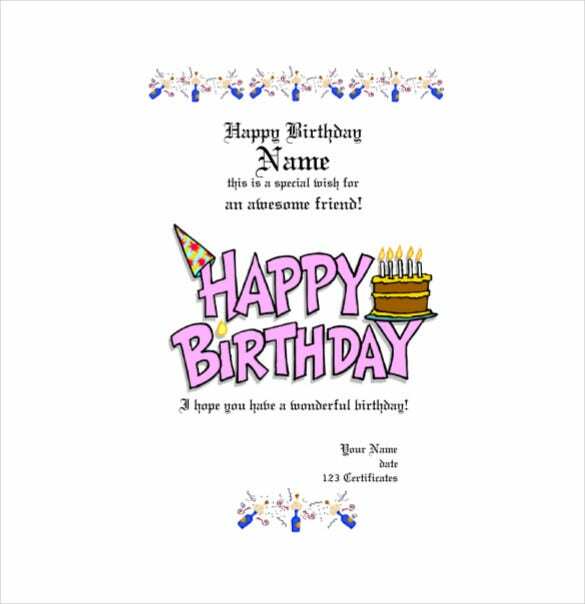 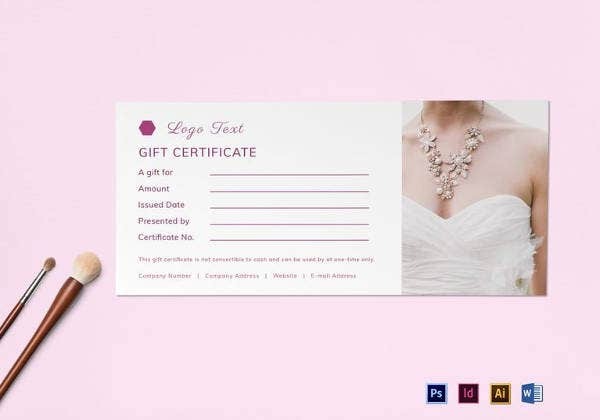 20+ Birthday Gift Certificate Templates – Free Sample, Example, Format Download! 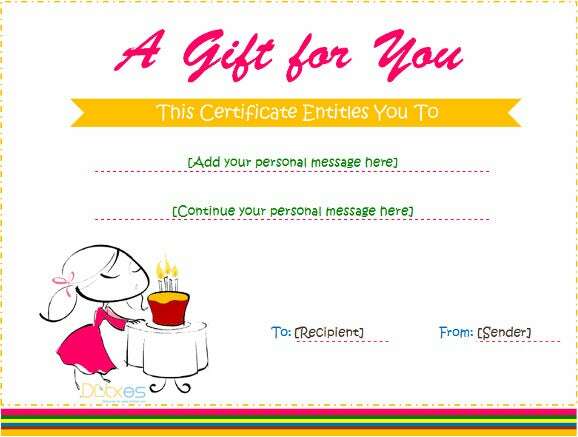 If you are planning to send birthday gift certificate for children, this is one adorable option for you. 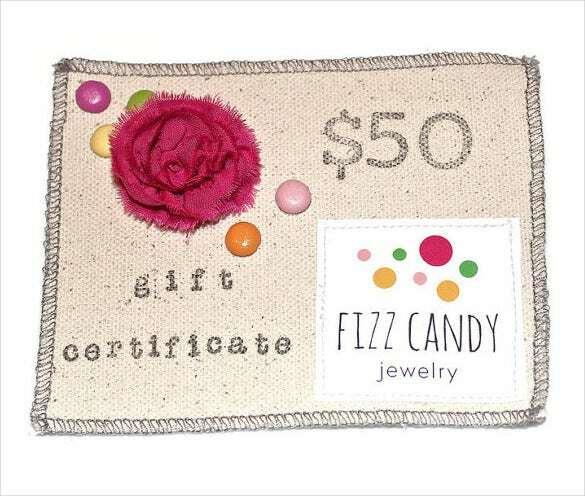 The cute wooden animals are sure to amuse the little minds and they would really appreciate the gift certificate. 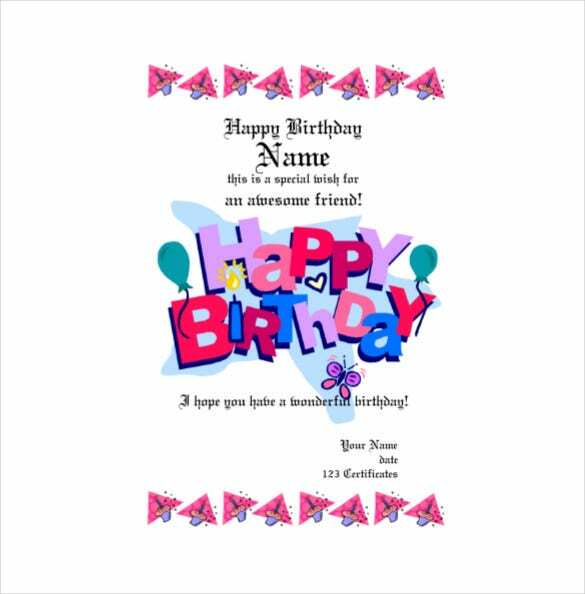 The certificate also comes with a pretty colorful “Happy Birthday” written over it. 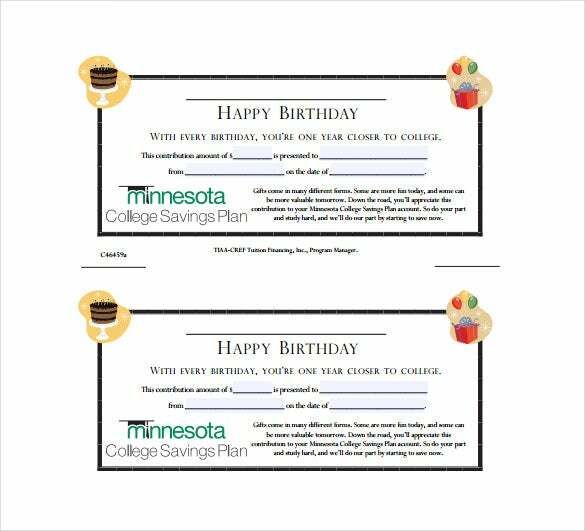 Balloons are signature decorations of any birthday party and the birthday gift certificate will take you to many happy memories of great birthday parties you shared with friends & family. 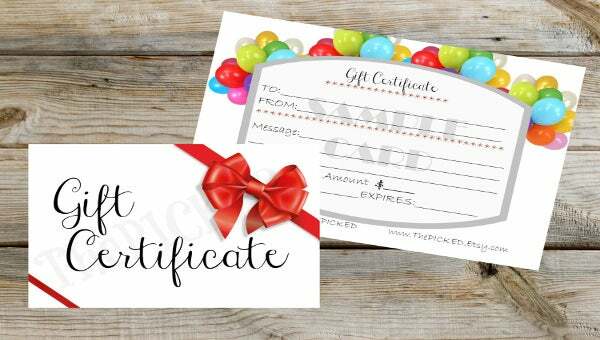 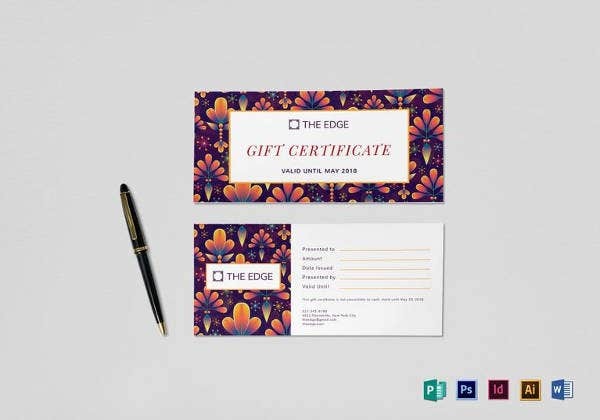 It’s a 2-sided gift certificate- the front side comes up with two pretty red ribbons on two sides against a white background- while the back is about the certificate details. 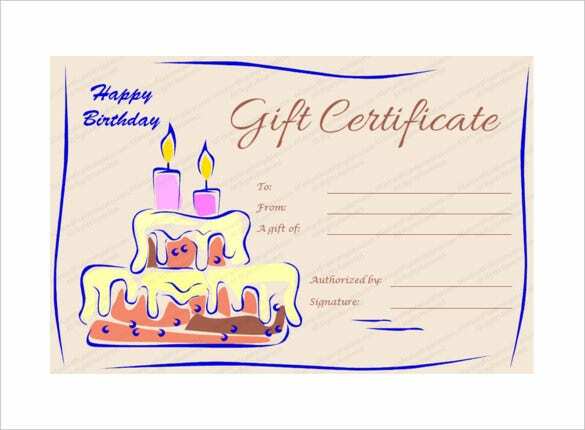 If you are looking for a birthday gift certificate that will enable you to add a picture, this is the birthday gift certificate for you. 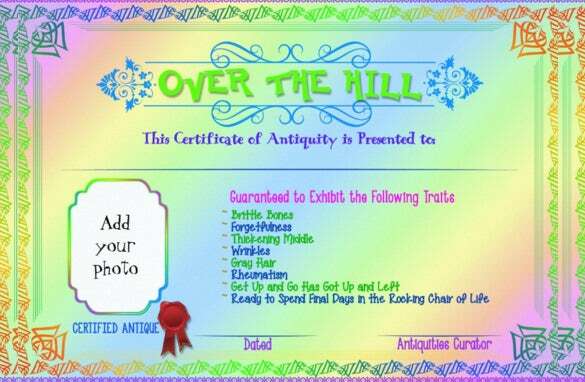 The entire certificate comes with a colorful vibrant aura with decorative borders. 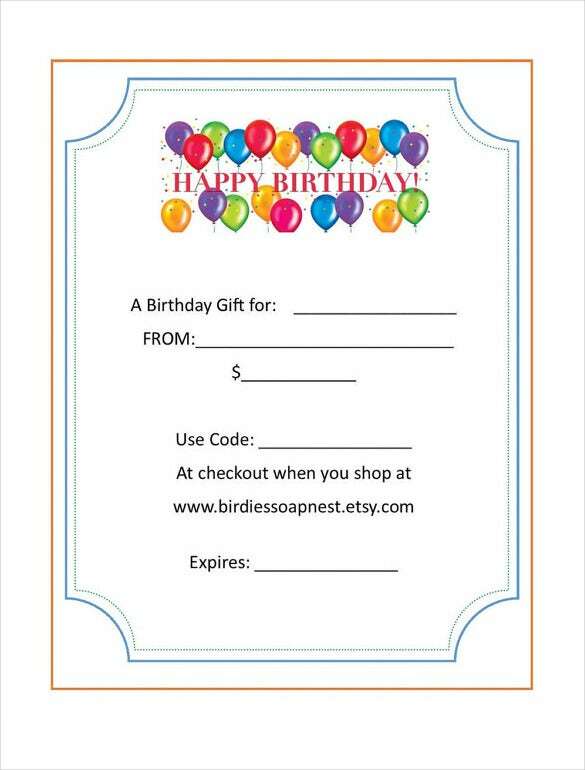 The “Customize it” button would enable you to pick from eight additional sizes & six shape styles. 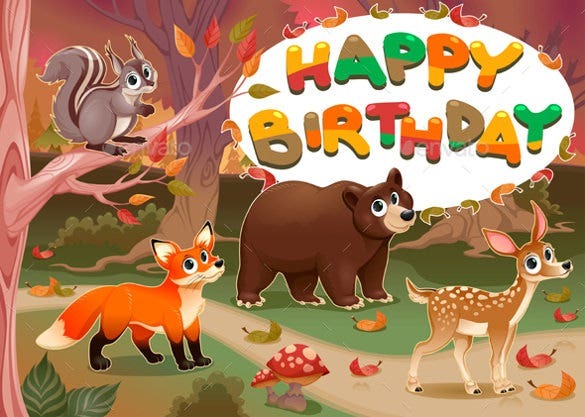 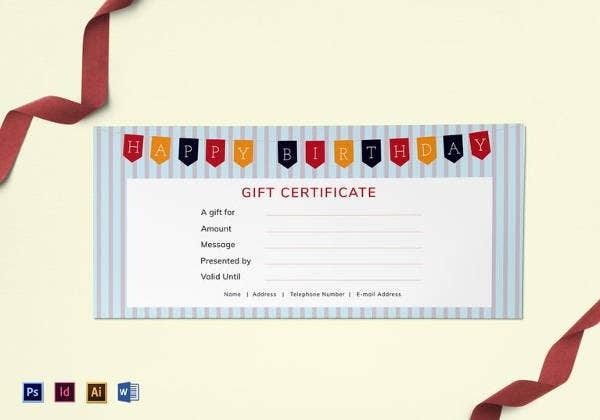 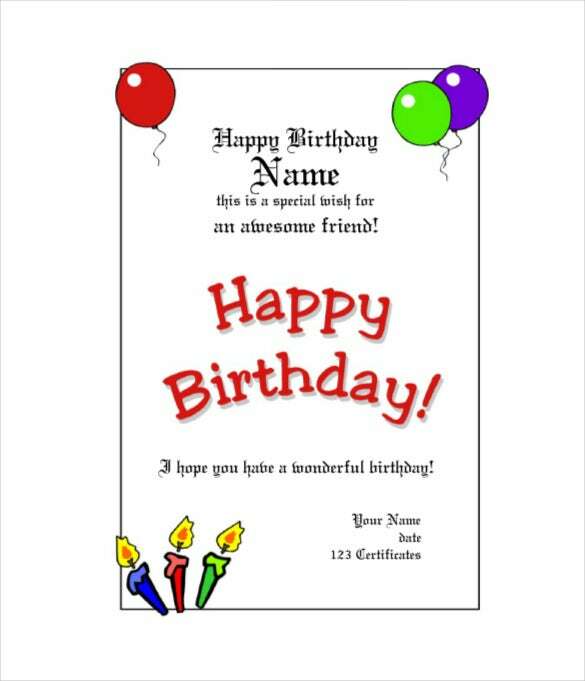 You are getting a bright and beautiful birthday gift certificate here that sets the right mood with the big colorful balloons, gifts and the peppy Happy Birthday in a red backdrop just at the front of the certificate. 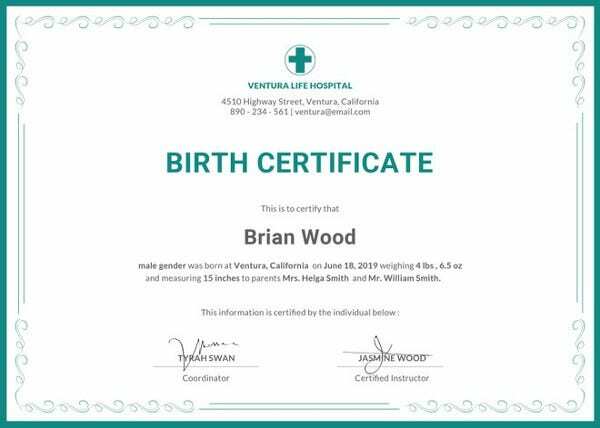 The certificate details are written below the picture. 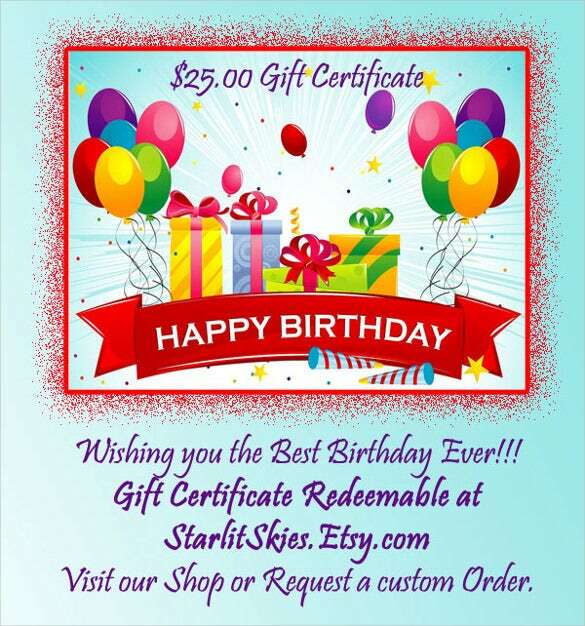 It’s a $25 birthday gift certificate. 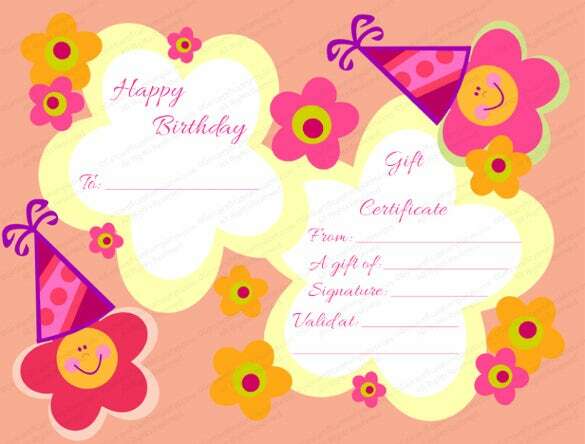 The cute flowers all over make a lovely view for the birthday gift certificate here. 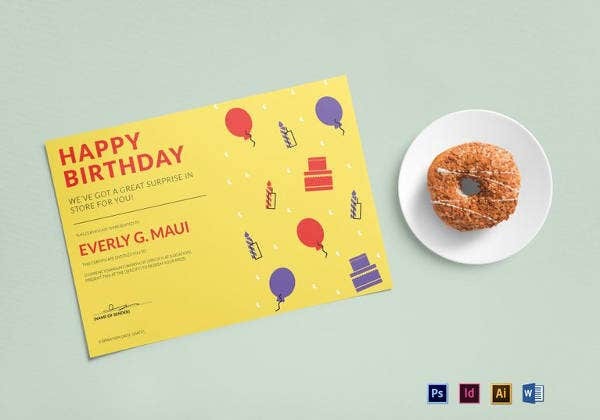 This one is a fitting certificate for kids’ birthdays and they would duly appreciate the smiling flowers under the birthday caps. 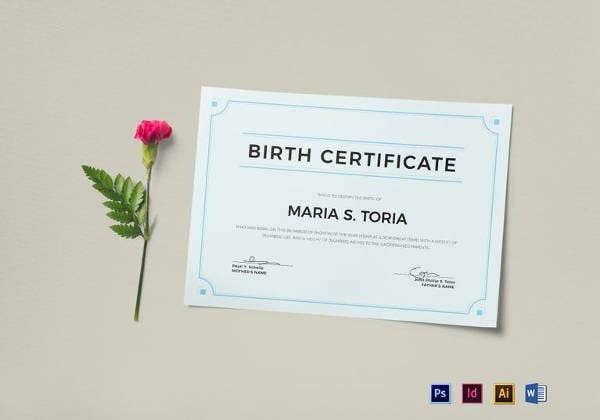 The certificate information is presented in pretty floral frames, complementing the overall mood of the template.